COLOGNE - In what all but amounts to turning Harare into a satellite outpost of Beijing, China has reportedly deployed and installed a dreaded new generation of surface-to- air missiles (SAM) in Zimbabwe, in what is seen as direct preparation for defending her vast economic interests in the country, with a possible signal of ratcheting up future gunboat diplomacy against the competing West, as foreign powers scramble to move into Zimbabwe for business, under the newly elected President Emmerson Mnangagwa administration, Spotlight Zimbabwe reported. 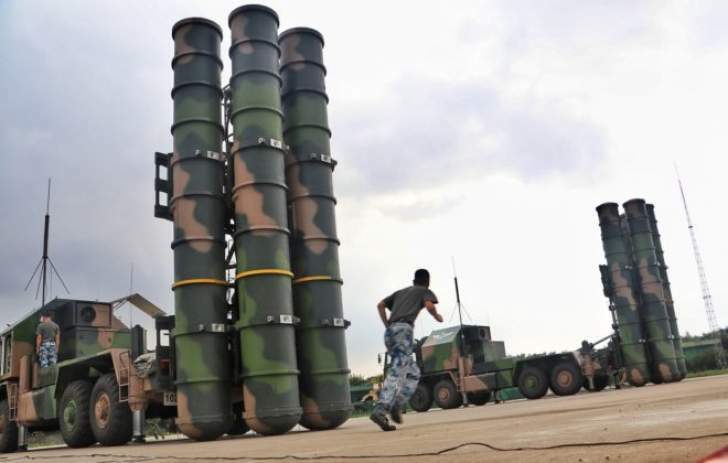 Diplomatic and military sources in the capital yesterday said the SAM technology is similar to the one, which the Asian powerhouse has deployed to the South China Sea on Woody Island, comprising of her latest HQ-9 missiles. Woody Island, also called Yongxing Island in China and Phu Lam Island in Vietnam, is the largest of the Paracel Islands in the South China Sea, with an area of 2.1 square kilometres. Controlled by Beijing, it is also claimed by Taiwan and Vietnam, and has since been turned into nearly a no-fly Zone due to the missiles. The revelations, certain to raise a red flag with many Western capitals, come on the backdrop of President Xi Jingping sending his special envoy, Su Hui, to attend Mnangagwa's inauguration held on Sunday, with Mnangagwa himself set to visit China next month to attend the Beijing Summit of the Forum on China-Africa Cooperation (FOCAC). In June China hosted military chiefs from 50 African nations for a three- week security forum, as part of preparations for the launch of a strategic and military cooperation between Beijing and Africa. It was not clear if Zimbabwe was represented at the forum by the time of sending the paper to bed last night. "This is a very serious and sensitive issue," said one Asian diplomat who requested not to be named. "They (China) are deploying HQ-9 missiles in your country at strategic locations nationwide, and the Zimbabwe military seems to have signed up to the agreement, which will strengthen it's ability to defend this country by default with China's help." "The missile system is very advanced and similar to what they are using to protect the South China Sea Islands. This country has become very important to Beijing otherwise, they would not be moving heavy military equipment here. The former leader (Mugabe) was holding back against the idea of strong Chinese military presence in Zimbabwe, but a few months before he was removed from office last year, new and revised military cooperation agreements had been signed, therefore explaining the greenlight given to the deployment of the HQ-9." A senior military officer with the defence ministry said it was not possible to disclose the location of the Chinese missile system, but confirmed it existed and was a top secret national security matter. "I can confirm about the SAM technology from China. It is there but I'm not authorised to disclose the location of such weapons, it is a state secret and national security matter. The army press department is also unlikely to help your publication further. They will not comment on matters requiring the highest security clearance." According to Army Recognition, a military magazine that covers technology and news from around the world, the HQ-9 is a medium-to-long range air defense missile system designed and manufactured in China by the Defense Company CPMIEC (China Precision Machinery Import & Export Corporation). "The HQ-9 system is designed to track and destroy aircraft, cruise missiles, air-to-surface missiles, and tactical ballistic missiles," reads an article in the magazine on China. "The system was unveiled for the first time to the public during the military parade for the 60th anniversary of the founding of the People's Republic of China. The HongQi 9 development began in the early 1980s, initially based on the U.S. Patriot air defence missile system that China obtained via an unknown third-party country. Like the Patriot, the HongQi 9 uses a ‘Track-Via-Missile' (TVM) terminal guidance system and was originally designed to be launched from a Patriot-style slant-positioned box-shape container launcher." The missile is a two-stage missile. The first stage has a diameter of 700 mm and the 2nd stage 560 mm, with a total mass of almost 2 tons and a length of 6.8m, the magazine further states. "The missile is armed with a 180 kg warhead, has a maximum speed of Mach 4.2. and has a maximum range of 200 km up to an altitude of 30 km. The missile has a proximity fuse with an effective range of 35m, which goes active when the missile is 5km away from its target. The HQ-9's guidance system is composed of inertial guidance plus mid-course uplink and active radar terminal guidance systems." In 2014, this reporter for the first time revealed China's plans to set up an underground military base in the Marange diamond fields area in Manicaland, with our then sister publication, The Telescope News. The disclosures sent shivers running down the spine of many officials in the country who were in the dark on the matter, forcing then minister of defence, Sydney Sekeramayi, to deny the existence of the military station. China herself has neither confirmed nor denied the alleged plans to construct the base near Mutare. 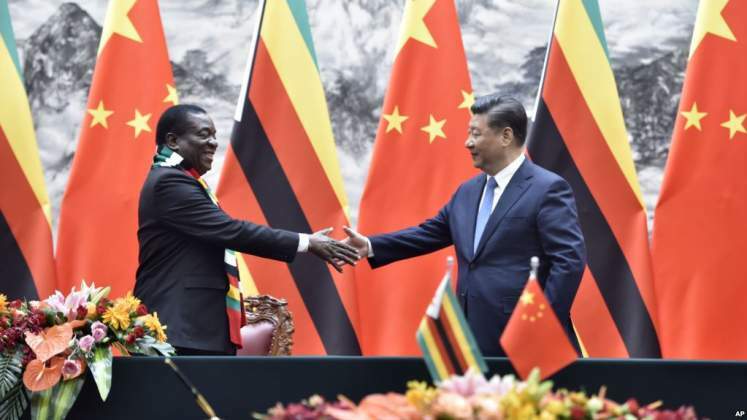 China's influence in Zimbabwe, is set to grow stronger under Mnangagwa's term and his deputy, Rtd General Constantino Chiwenga, is also moving to crystallise military partnership with Beijing, our sources said. [A CCTV screen capture shows the model for a new parliament building in Zimbabwe. Photo: Handout] Proposed new parliament building, to be built in Mt Hampden, Zimbabwe's soon to be new capital city. "Your VP (Chiwenga) is the main actor moving things militarily with China, with the blessing of Mnangagwa," said a former envoy from Scandinavia who was based in Harare a few years ago. "Beijing is continuing to build her influence and power in Zimbabwe through five ways, which are: military facilities, power plants, new parliament building, a supercomputer centre and medical help."